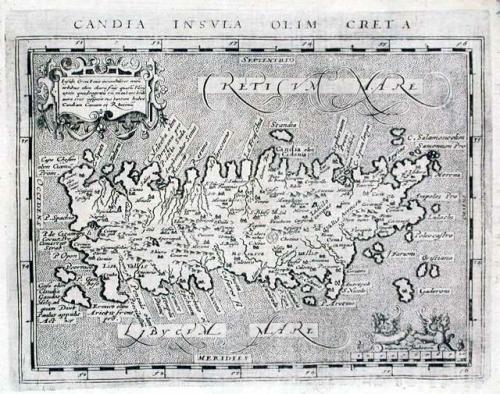 Title: Candia Insula olim Creta. Publication: Geographiae universae tum veteris, tum novae absolutissimum opus... Auctore eodem Io. Anto. Magino Patavino..., Cologne 1597, Petrus Keschedt. A sought-after map of Crete with the labyrinth depicted. Text on verso.